Scott Porter began his career with Ernst & Young in West Palm Beach, FL in 1978. After 11 years at Ernst & Young, Scott left to be a founding partner of Caler, Donten, Levine, Cohen, Porter & Veil, P.A. 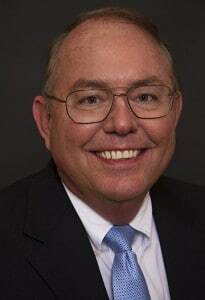 Scott has more than 35 years of public accounting experience in accounting and auditing, and serves privately-owned businesses, employee benefit plans, local government, and non-profit organizations. Scott also has extensive experience in litigation consulting and has testified as an expert witness in Federal and State Circuit Court on matters involving professional liability, personal injury and wrongful death, commercial business damages and lost profits, and forensic accounting and fraud investigations. Scott serves as the Firm’s Governmental Audit Quality Partner and the Employee Benefit Plan Audit Quality Partner. This entry was posted in Shareholders on July 31, 2017 by Brian at Mackmedia.